Doctor Who Edition of Pointless? Pointless is an afternoon BBC One quiz show hosted by Alexander Armstrong (Who played Reg in The Doctor, The Widow and The Wardrobe and played Mr Smith in The Sarah Jane Adventures). The point of the program is to get the least points. Rumours have been around that Andrew Hayden-Smith filmed a pointless special a few weeks ago and tonight Louise Jameson (Who ancient readers, may remember played Leela alongside Tom Baker.) 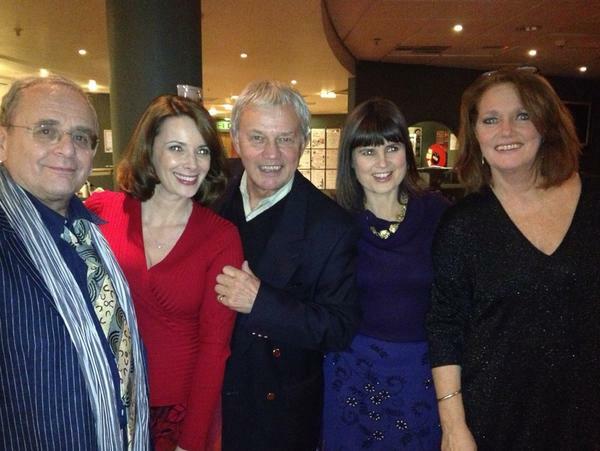 posted a picture on Twitter with the tagline “Guess WHO is on the pointless teams?” The picture feature Louise, Sophie Aldred (Ace, Companion of the Seventh Doctor) Sylvester Mcoy (The Seventh Doctor), Nicola Bryant (Peri, companion of The Sixth Doctor) and Frazier Hines (Jamie, companion of the Second Doctor). Nothing has been confirmed as of yet but it seems likely that this is one of the “Who” themed programs we can expect in 2013. Above is the picture Louise Jameson posted.